Today is the Vuelta a España's 16th stage and the Tour of Alberta has its sixth stage. Also, the Tour of Britain runs its second stage. Rafal Majka looks set to fight for the overall podium of Vuelta a España after finishing 2nd on the sheer wall of Alto de Sotres. On the final steep section, Majka gained time on most of his main rivals following an impressive effort from teammate Poljanski, while Rodriguez took the stage win. Rafal Majka stood atop Alto de Sotres satisfied with his performance that brought him into 3rd place in the general classification. “For sure, I’m happy to be 3rd overall. In the beginning we talked about top 5 and now it’s top 3. Surely I don’t fear anybody and I feel stronger but the GC is still very close and it will be very hard. In the end, we have to take more time on Dumoulin - he is still strong and dangerous in the time trial. But I think that tomorrow’s stage will be even harder than today’s. The climb in the end will be super crazy and we need to wait and see how my legs are”. Stage 15 from Comillas to Alto de Sotres finished off its 175.8km with a decisive first category summit finish, where especially the final section offered plenty of incline to create a selection. Tristan Hoffman, Tinkoff-Saxo sports director, underlines that he was impressed by the performance of Jesper Hansen and.Pawel Poljanski, who stayed with Majka pulling until the final kilometer. “Today it’s clear that Rafal has the ability to recover very well. His shape has been getting better day by day and we can be very satisfied with the outcome of the stage. I really think that the team, as a group, did a fantastic work today. The guys kept Rafal in a good position during the first part of the stage and Poljanski and Hansen stayed with him until the end. In case that Rafal had suffered a puncture or mechanical it would have been a lifesaver. Pawel even had the energy to lead the very select front group and he set a hard tempo for Rafal to make it more difficult for riders like Rodriguez, who we suspected would attack”, says Tristan Hoffman, who turns his attention to the steepest climb of Vuelta a España 2015 coming up on stage 16. “The top 5 is very close and nothing is decided at all. Tomorrow will be brutal with the last climb and I think that the time differences will be more extensive what we saw today. We will have to wait and see how the other teams play their cards and then we hope that Rafal has the same legs tomorrow. So far, he has been stable and strong and we will off course go all in for Rafal again tomorrow”, finishes Hoffman. Maarten Tjallingii succeeded in riding free with an escape group after several attacks in the Vuelta’s summit finish stage to Sotres. Joaquím Rodriguez of Katusha won the stage. 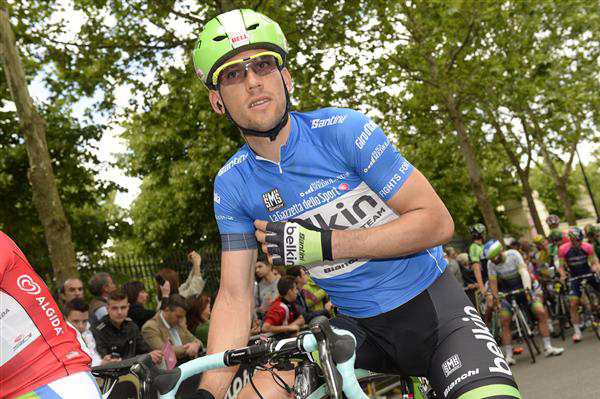 Tjallingii rode the team’s yellow and black colours to 54th. Fabio Aru continues to lead in the overall standings. 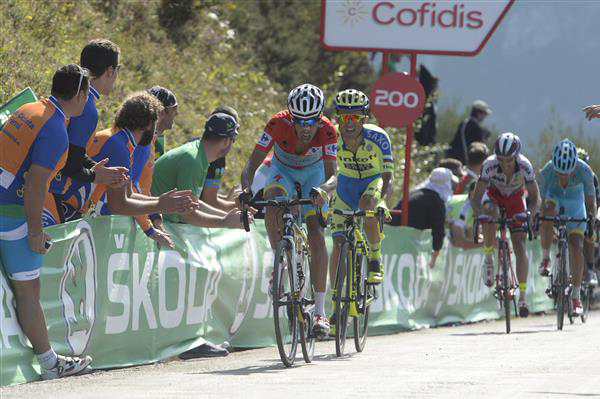 The 15th stage of the Vuelta saw a classic race trend. A leading group of nine riders, which included LottoNL-Jumbo rider Maarten Tjallingii, broke clear, but had fight hard to get a big lead. Movistar controlled the entire stage and did not allow the breakaway to get far ahead. On the first steep kilometres of Sotres, Tjallingii fell behind the better climbers. Tomorrow covers 185 kilometres to Ermita de Alba Quiros, another summit finish. The start is feared, too. "Tomorrow is uphill from the start," added Dekker. “Besides Bennett, everybody will have to look after himself and make it in on time. It’s going to be a survival day for everyone tomorrow." Today, Tour of Britain was kickstarted in Wales with a 177-kilometer long and undulating stage from Beaumaris to Wrexham. Four riders stole some time in the limelight but eventually, it was the big names stealing the headlines after the bunch sprint on the finish line. For Cult Energy Pro Cycling, it was a relatively quiet day in the office. Four escapees were insisting on making it to the finish line after breaking clear from the first meters of the stage. But Conor Dunne (SKT), Tom Stewart (MGT), Kristian House (JLT) and Pete Williams (ONE) were up against a long list of motivated teams in the chasing peloton. With Etixx-Quick Step and Lotto-Soudal on the front keeping the breakaway on a short leash, the bunch sprint decision was inevitable. Entering the final 1,500 meters, the last standing escapee was neutralized and Team Sky moved to the front as well to set up things for their sprinter, Elia Viviani and he put André Greipel (Lotto-Soudal) and Mark Cavendish (Etixx-Quick Step) behind in the furious gallop. Cult Energy Pro Cycling had an easy day in the office: “After a break from racing for everyone in the line-up, our goal was to ease in to the race and get into the rhythm of racing again. The big teams are here with some of their biggest sprinter names who evidently have high ambitions but we’re here to make our mark on the race eventually. Our time will come,” says DS, Luke Roberts. The weekend of the Lampre-Merida was completed by the French race of the Gp Fourmies, whose epilogue was unlucky for the team of manager Brent Copeland. 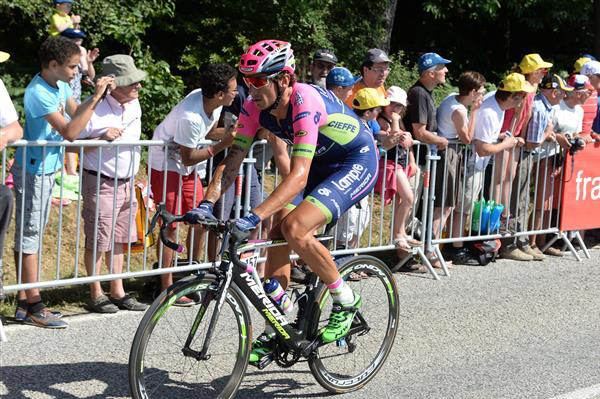 The blue-fuchsia-green team was well represented by Filippo Pozzato in a 15-man breakaway which escaped from the peloton at 23 km to go. The former Italian champion and Milano-Sanremo winner aimed for a top result which could give value to the final part of the season. He had targeted his attention on the finish with 2 km to go. Unfortunately, Pozzato had to face the bad luck. In fact he had contact with an opponent and crashed on his right collarbone, which probably got broken (photo). He'll undergo additional checks after leaving Fourmies. Pozzato in better days. Here he's riding the 2015 Tour de France's 8th stage. The race was won by Felline, who was one of the members of the breakaway and who succeeded in resisting the chase of the bunch, which launched a long sprint in which Modolo gave to Lampre-Merida 9th place.